At four weeks, (above) the eaglets still had their baby down; by six weeks (below) they had grown a full set of dark feathers, albeit somewhat ragged. 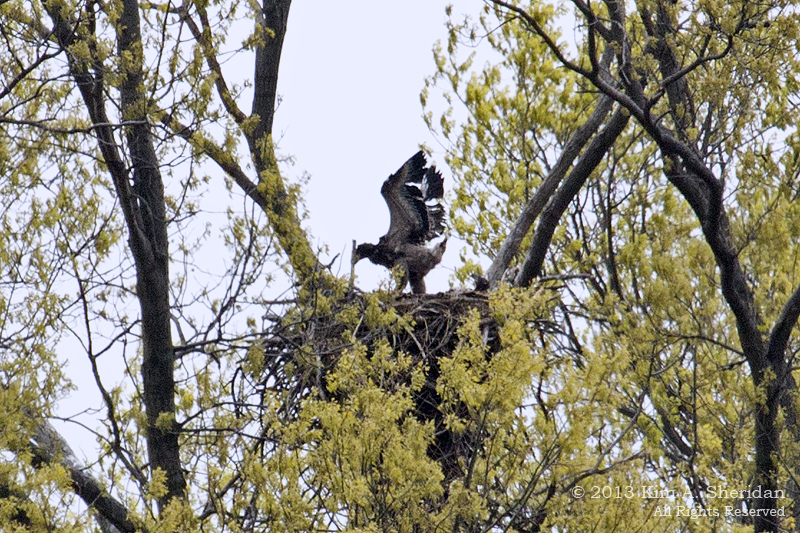 They were also standing on the edge of the nest and flapping their wings to strengthen them. By this time we noticed that one chick was smaller than the other. This is not unusual; they were probably born a day or two apart, and the older chick simply out-competed his younger sibling for food. 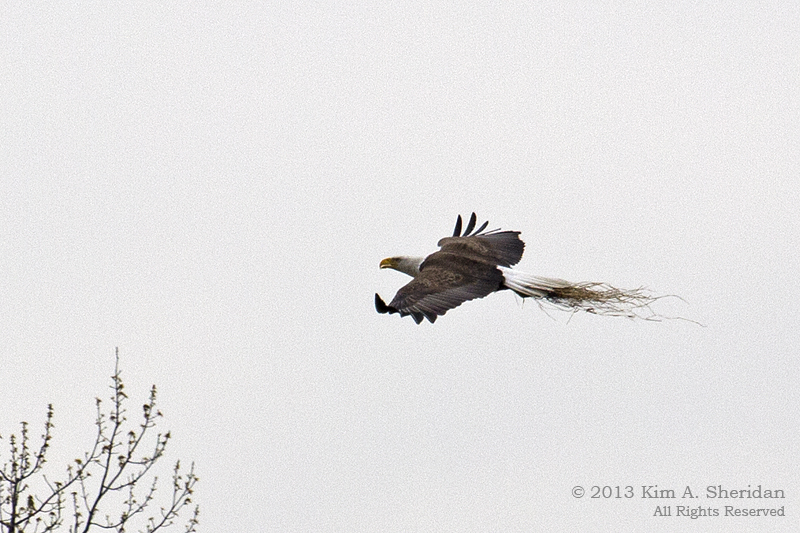 Here an adult flies in with nesting material, while one of the chicks clamors for food. A parent’s work is never done! 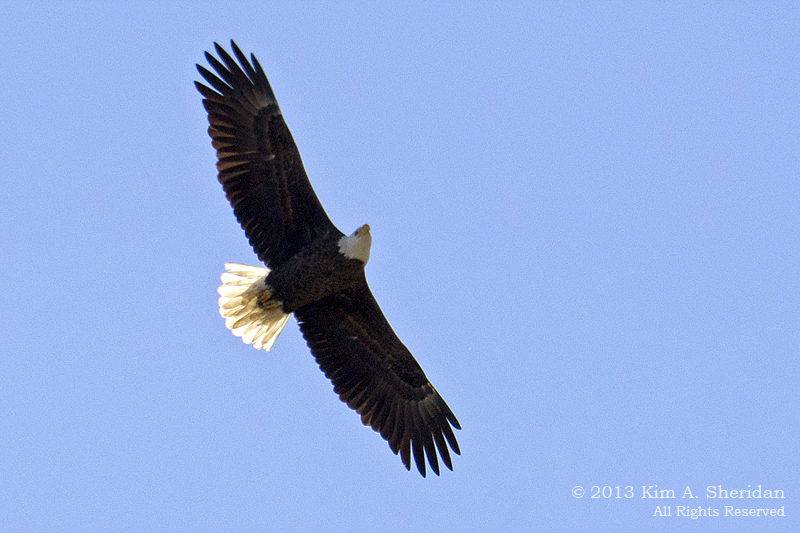 By eight weeks old (below), both eaglets were nearly the size of their parents, actively flapping their wings and jumping into the air. As of today, they are about ten weeks old. The smaller chick is growing well, and they both seem to be thriving. 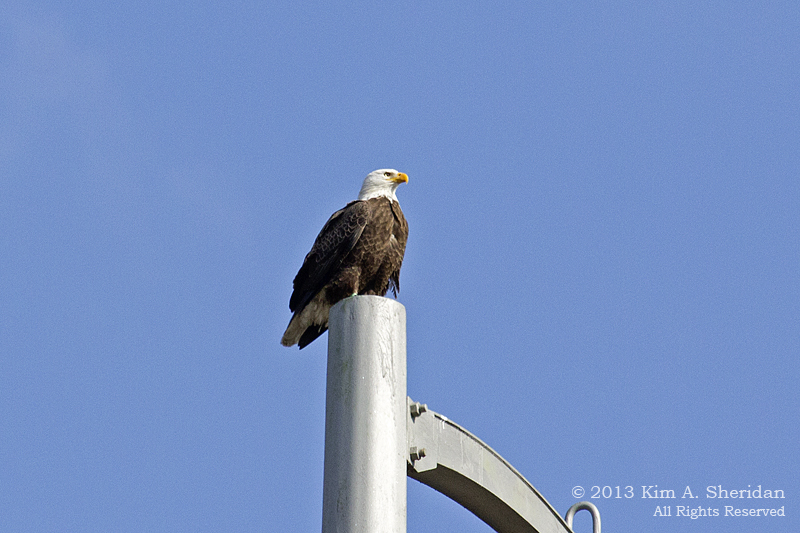 We expect them to fledge – leave the nest and start flying – sometime in early June. They sure look like they’re ready to go now, though! 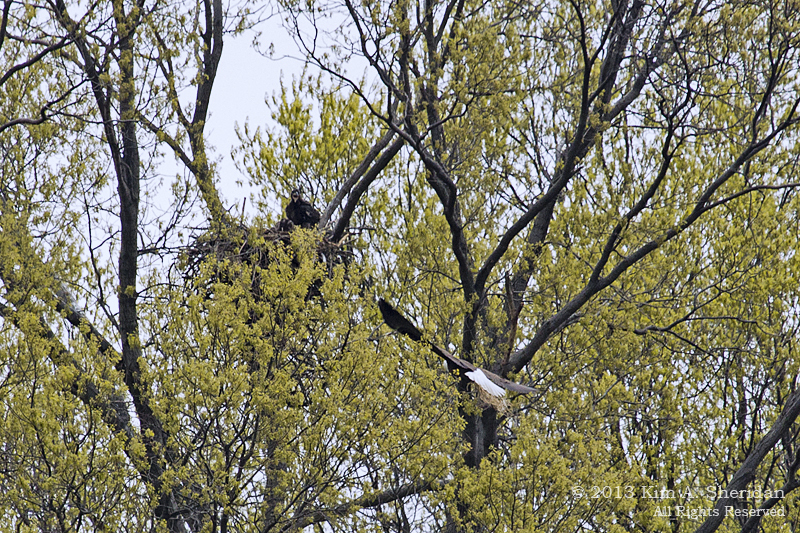 Before they leave for good, they will start moving out of the nest to branches nearby for a time. 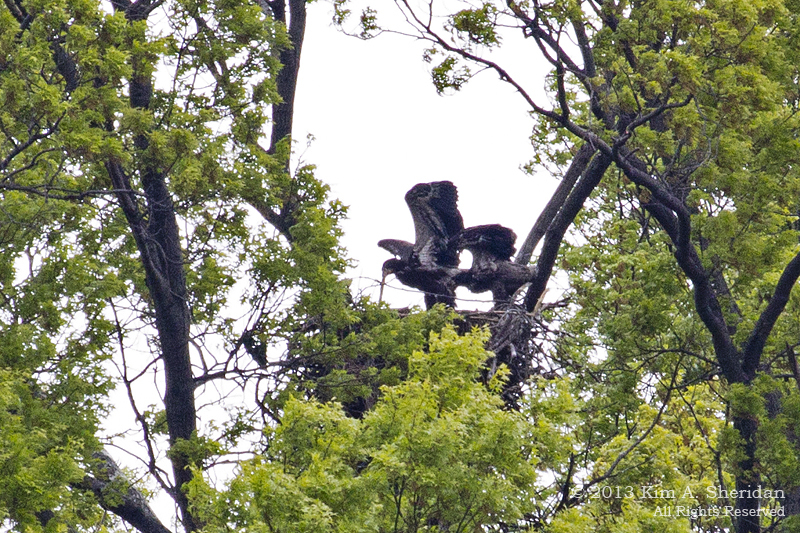 Once they can fly, the eaglets will remain in the area for a while longer, still being fed by the parents, while they learn to hunt for themselves. When they are fully independent in the fall, they will leave the area in search of territories of their own. After all, this territory is spoken for! It won’t be until they are four years old that they will have the full adult Bald Eagle plumage, with the distinctive white head and tail. And next year their parents will return to start the cycle anew. 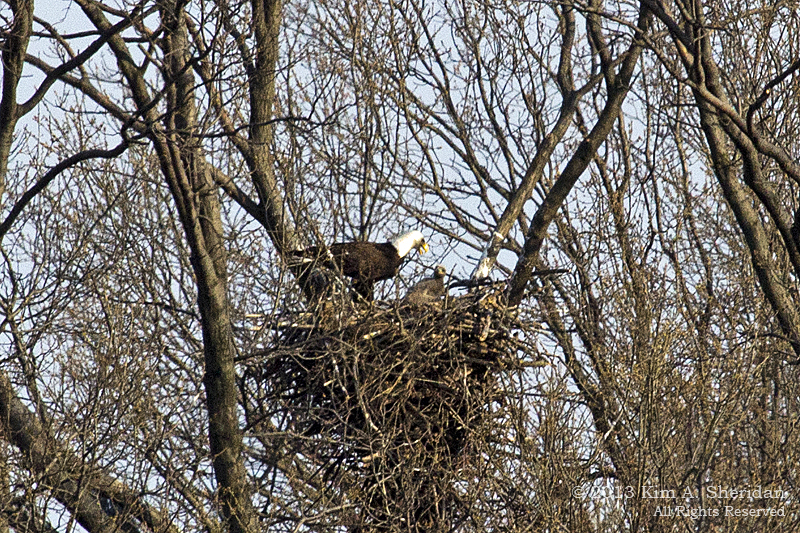 CONSERVATION PIECE: As recently as thirty years ago, there were only three nesting pairs of Bald Eagles in Pennsylvania. The birds weren’t faring better anywhere else, thanks to loss of habitat and the devastating effects of DDT. 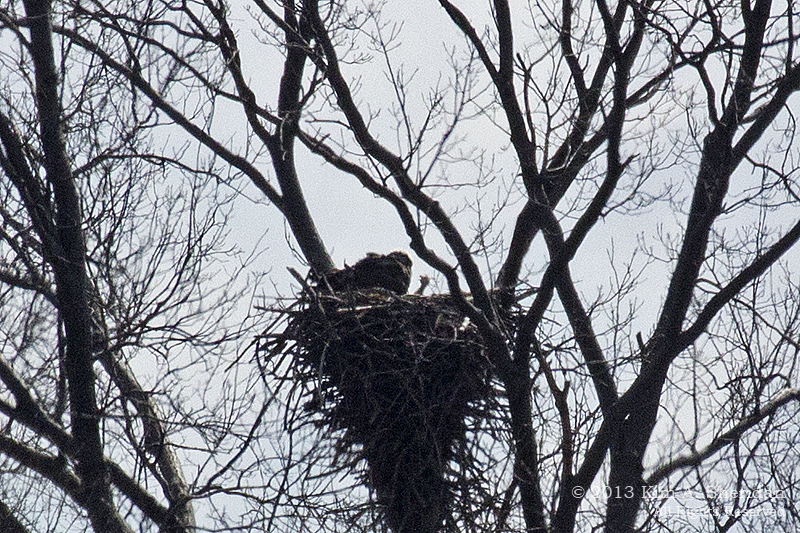 Now there are over 200 nests in Pennsylvania, three in Philadelphia alone, including ours at Heinz. 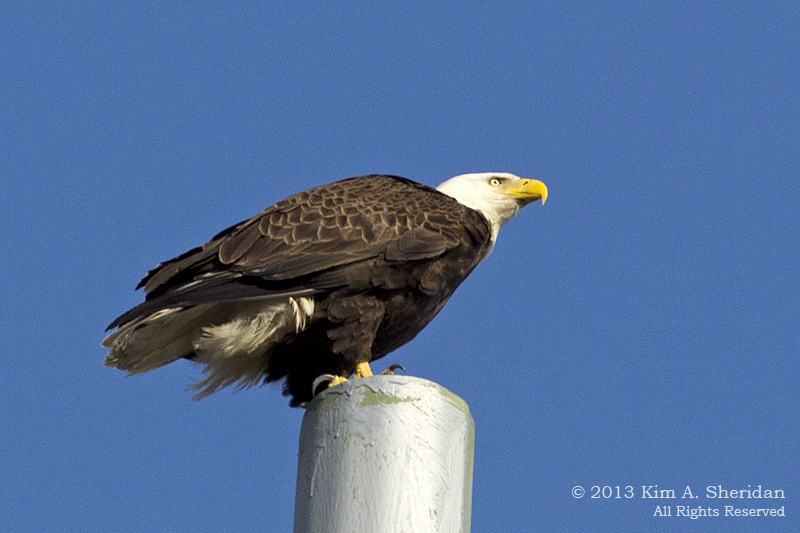 These beautiful symbols of our country are making quite a comeback.